Science Blast in the Class is a great resource for teachers in the classroom, those working in after-school programs or as part of a club. The guide includes 13 hands-on lessons as well as support materials to enrich the learning process. Need help teaching science in your classroom? As Michigan looks to cre­ate a new generation of leaders, science must be at the forefront. 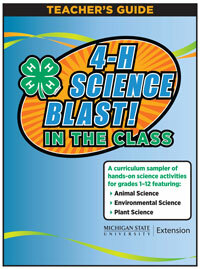 The Science Blast in the Class curriculum was developed as part of MSU Extension’s “I Know MI Numbers” initiative to enhance science literacy and serve as a “go-to” resource both inside and out­side the traditional classroom. It offers educators the opportunity to connect in-school learning with real-world experiences. Visit the Science Blast in the Class resource page to download the complete teacher’s guide or visit Science Blast Activities to find activities for use outside the classroom setting. Science Blast in the Class is a great resource for teachers in the classroom, those working in after-school programs or as part of a club. The guide includes 13 hands-on lessons in topics including Animal Science, Environmental Science and Plant Science, as well as a wealth of support material that educators can utilize to enrich the science learning process. Some of the lessons are being used in this summer and fall’s “I Know MI Numbers” Science Blast activities, where thousands of youth throughout Michigan are engaging in fun, hands-on science activities. The lessons found in the Science Blast in the Class handbook are benchmarked according to the latest Michigan High School Content Expectations and/or Grade Level Content Expectations, as appropriate. While each lesson includes suggested grade levels, many lessons are appropriate for teaching or reteaching concepts to older and younger youth. The science process is something we do every day – we just don’t stop to think about it. 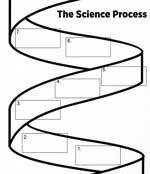 Students will learn the steps of the science process, understand the “shape” of science and realize how relevant science is to their daily lives. 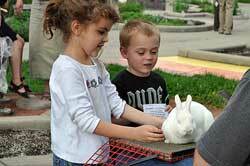 Students love animals, whether it’s the small pet at home or the big giraffe at the zoo. The Animal Science section of Science Blast in the Class helps students what makes animals different and the role genetics play, understand disease transmission and control, and understand how animals use their sense for survival and reproduction. Michigan is home to some of the greatest natural resources in the world. Science Blast in the Class offers several lessons that enhance students’ understanding and appreciation of the world around them. Learners will enhance skills in observation, inference, critical thinking and reasoning; learn how biofuels are made; learn the importance of adaptations in fish and other animals; learn how to identify different fish families; and understand the importance of water quality. Plants are essential to life and the Science Blast in the Class Handbook will help students appreciate and understand plant science in a fun, hands-on way. Youth will learn the key components and functions of plants, growth, survival and reproduction; learn how to pick the best vegetables for their school or home gardens by using the scientific method; and understand some of the factors in photosynthesis and the connection between light and energy storage in plants. 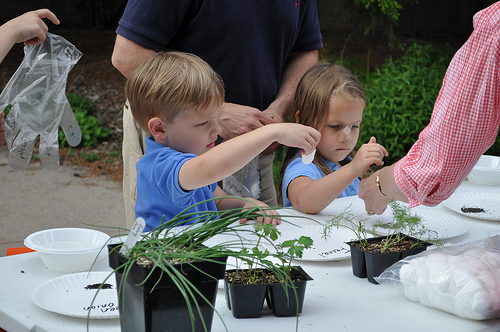 For more information on Science Blast and Science Blast in the Class, contact Jake DeDecker, program leader for MSU Extension’s Children and Youth Institute, at dedecke4@anr.msu.edu or 517-432-7604 or your county Extension office. 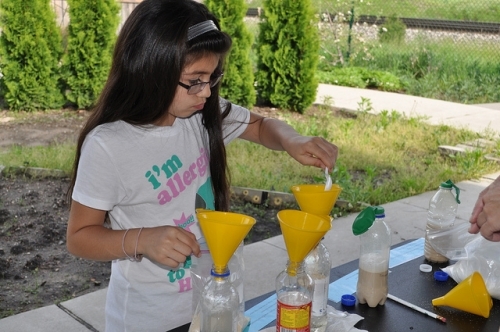 Engage youth in environmental science with these new 4-H Science Blast lessons. Take a deeper look at the science involved in animal production by exploring biochemistry and chemistry. Take a deeper look at the science involved in animal production by exploring anatomy and physiology.